Social media networks are driving more and more traffic to websites each year, and they don’t show any signs of slowing down. Social traffic has quickly become a serious competitor to organic search traffic, and many writers around the web have taken notice. However, writing social content is a whole different ball game than writing SEO content; many of the tactics and strategies that help move a post move up the search engine result pages will cause the same post to fall flat with a social media audience. This post will help expose the differences between writing social media content and writing SEO content, so that you can maximize the effectiveness of every piece of content you write. If you’ve read our article on SEO keyword research, you probably know a few things about optimizing your writing for search engines. SEO posts tend to be very detailed and informative, and make use of very specific keywords and phrases to help the post rank for the most relevant search terms. As the name implies, search engine users are searching for information; as a result, search engines tend to favor web pages that provide detailed, informative material, regardless of how bland it is. Social media is another story; these users tend to gravitate towards engaging, entertaining posts, often without regard for the level of detail or factual accuracy a post contains. These individuals are not necessarily looking for specific information, they are more interested in the first piece of exciting news that catches their eye. The best SEO content tends to be long. Articles with a four-figure word count have more opportunity to provide the in-depth information that search engines love. They also have more room to include variations on key search terms and phrases, increasing the article’s exposure in a wider variety of search results. Sure, there might be a few pictures in there to break up the monotonous word wall, but for the most part, it’s the text content which is helping the post rank. Try sharing that same SEO post with a social audience and you will soon see visitors fleeing in terror from the never-ending onslaught of text. Social users are looking for a break; many are not going to want to sit down and read a scholarly article for fun. Getting the point across in a simple, succinct manner is very important for social media success; if you can’t sum up your point in a few hundred words, consider using other mediums to get your message across. Social media users tend to respond well to visual content – videos and infographics are great ways to grab attention early and deliver your message in a much more engaging way. Whereas Google, Bing, and the other major search engines all tend to follow the same design, social media networks are much more varied. A piece that gets a lot of attention on Twitter may never take off on Pinterest, and vice versa. Knowing how to play to the strengths of a network can play a big role in the success of an article. 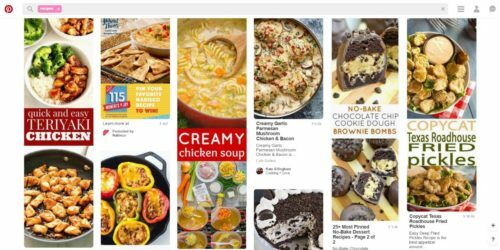 For example, Pinterest is a very visual social network, and the design and format of the site has directly influenced the type of content writers create and share on Pinterest. When you share a picture on Pinterest, the width of the image is severely limited compared to the height. As a result, many users create very tall, thin, “skyscraper” type images specifically for Pinterest, causing their Pins to appear much larger compared to other images using more traditional dimensions. Studying how the different social media utilize content from the rest of the web can help get eyes and clicks on a particular post. Search engines help their users find the information they are looking for. There is an incentive to promote cold, hard facts over more emotional or polarized information. If a search user finds all the information they are looking for, they are satisfied leaving the page with their newfound knowledge. This is fine for SEO content, as search engines will realize this and continue to send new searchers back to that same article that answers all of their questions. Social media works differently – if users are not actively talking about and sharing a post, it will quickly be forgotten when the next exciting conversation comes along. The best way to do this is to play to the emotional side of a topic; users who feel a stronger emotional response to an article are more likely to share it. The “social” aspect is key here; a post should provide information on a particular topic, but should also raise new questions about it, encouraging readers to discuss and interact among themselves. Content that takes a stance on a divisive topic or exposes an issue and encourages users to explore ways to solve it will be much more successful than a generic, middle-of-the-road post that doesn’t challenge the thoughts or opinions of readers. Again, the search engines won’t be delivering a steady stream of traffic to this type of content, so it is imperative that readers are sharing and discussing an article for it to bring in a substantial amount of social media traffic. Especially when building your initial social media following, it is important to interact with your audience in order to encourage others to read your content. If people do not care what you have to say, you will have a much more difficult time encouraging them to spread your message. Posting your newest article to your 50-follower Facebook page might get you a few clicks. However, sharing your post to a relevant Facebook group where you have built up a reputation as a knowledgeable group member can earn a lot more exposure. In most online communities, roughly 10% of the people create 90% of the conversation. Becoming an influencer means answering questions, helping out new members, and meaningfully contributing to the larger conversation. It is important to note that just posting all of your articles to a new group is not engaging; it’s spamming. Real engagement means contributing to the community. It can take time, but building up that trust and recognition will be well worth the effort when it comes time to share your newest post. The more you interact and post engaging content, the larger your following will get, and building the initial momentum for each new piece of social media content will get a bit easier. This information should lay the foundation for a strong social media strategy. How successfully these tactics will work will depend on a variety of factors, including how active of a social media presence exists around your content’s topic. The local kitten adoption shelter will probably have a much easier time building a social following then the financial analyst informational site. Still, social media presents the opportunity to get a very large burst of traffic in a short period of time compared to SEO. New sites that do not have the age, size, authority, or backlink profile to compete for the most competitive search terms can use social media to build traffic immediately without waiting for search engines to catch up. Additionally, having a diverse source of traffic is much safer than focusing on a single area, just in case Facebook decides to deactivate your profile or Google chooses to de-index your website. Knowing how to focus your content towards a particular traffic source will keep your site competitive in all areas.